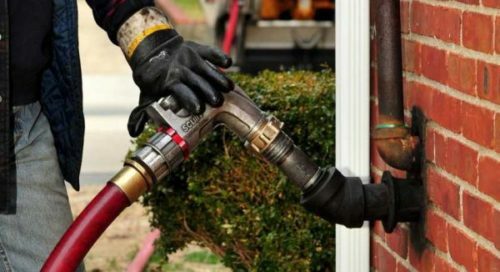 Are you about to install an oil central heating system in your home? Then you’ll also need to fit an external oil tank for the fuel. Continue reading to learn about how domestic oil tanks work as well as costs and maintenance tips. How much does an oil tank cost? 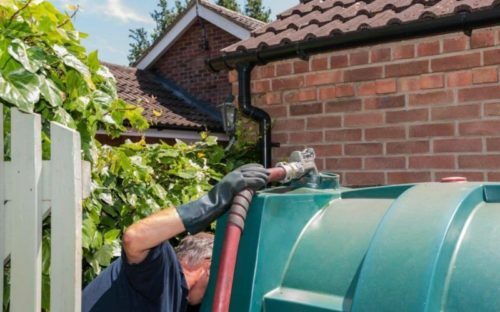 With oil central heating, installing an oil tank is a necessary expense. On top of the network of oil-fired boiler, radiators, and pipes, you’ll need to place a separate oil storage tank. 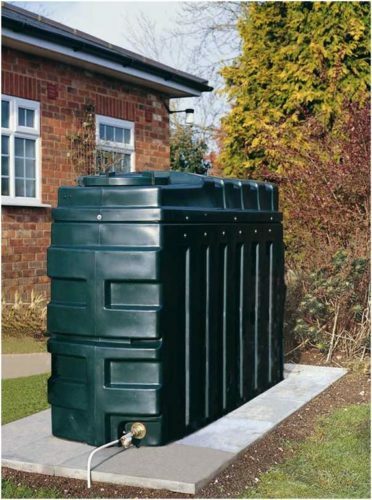 Domestic oil tanks can either be placed indoors, outdoors, or underground. The price of a heating oil tank will vary based on where it is installed, the capacity, as well as the type. An oil tank will either be single-skinned, double-skinned, or bunded. A detailed explanation of these types will follow in the next section. An oil central heating system is not cheap. Add to this the additional expense of an oil tank, it can be even more expensive. Fortunately, there’s a way to help bring these costs down. By sending a quote request to 6 heating companies, you’ll receive no obligation price offers by the next day. It’ll help you locate the best oil tank for your budget, saving up to 40% off. Domestic oil tanks are storage containers for the oil that powers your heating. When installing a central heating oil tank, you have to make a few choices. First is the location of the tank: inside, outside, or underground. The second is the material: plastic or steel. And the third is the type: single skinned, double skinned, or bunded. Heating oil tank types differ on the number of outer layers of the tank, and the level of protection against leaks. Single skinned oil tank – There is only one outer layer, hence the name. Single skin tanks are most suitable for homes in areas that are considered to be environmentally stable. These tend to be cheaper but don’t provide a high level of protection. Double skinned oil tank – A tank with two layers, providing another level of protection against leaks. In some cases, a double skin tank is sufficient to meet safety regulations. Bunded oil tank – This is basically a tank sitting inside another, larger tank. There is space between the two tanks to prevent any oil from leaking out. This is the safest option and tend to be more expensive than the other types. Usually, single and double skinned tanks must have a bund around the inner compartment. This is mandatory for areas that are environmentally sensitive according to a risk assessment. If the place that will house your oil tank is sufficiently protected from external elements, then bunded oil tanks might not be mandatory. However, minimising the risk of oil spills takes priority. Usually, if there is a river, well, or other source of water near the tank, it must be bunded. 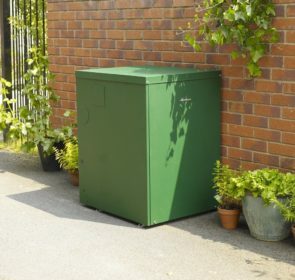 Oil tank installations must follow the building regulations of your area. Additionally, any work done involving oil tanks must be completed by an OFTEC registered engineer. Ask a certified heating professional for more details on these requirements. When ordering a delivery for the first time, you’ll need to know the size of your tank. This way, you won’t order too little or too much oil. Also, you should provide detailed delivery instructions to the suppliers. This will make the whole process go smoothly—the suppliers will be able to locate your home and tank easily. To make sure that your central heating has enough fuel, it’s important that you keep track of how much oil is in your tank. Modern tank models have an electronic monitoring system that detects when oil levels drop to a certain level and notify you. These remove the need for a traditional gauge on the oil tank. When looking for suppliers in your area, take some time to compare their prices. Get at least 3 prices from oil supply companies to find the best price that fits your needs. This is also a great opportunity to compare their delivery schedules and services. Similar to your boiler, you need to regularly check on your oil tank. Inspect your tank at least once a month, as well as when you place an order for an oil delivery. What are the things you should look for? Also, an OFTEC registered professional should inspect the oil tank once a year. 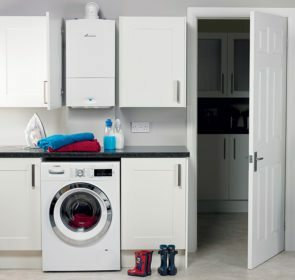 Usually, this is scheduled together with your annual boiler servicing. 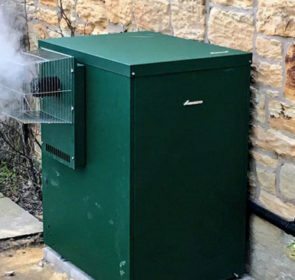 Are you going to install oil central heating and an oil tank in your home? Or perhaps you’re just looking to replace an old oil tank? Then your next step is to gather prices from multiple heating professionals. Use our form to send a quick and easy request and unlock savings of up to 40% now!